WOW. They certainly pulled out all the stops for our mid-season finale! Welcome all fans of The Walking Dead to our ongoing discussion of the gore-iffic and introspective show that we just can't get enough of. 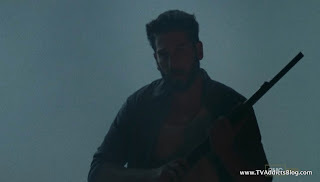 Things certainly heated up to a "sort-of" climactic moment to culminate these first 8 episodes, but they left some key moments to come in the back half of the season. So, we'll all be tuning in on February 10th, to see it pick right back up! (well, that is if everyone with Verizon Fios continues to have AMC of course) Anyway, let's dive in and discuss what happened and where we go from here! Okay, short again today. I'm writing these later in the day so don't have much time to work on them! Here we go! So, we see what a regime under Carl may look like in the future. And another favorite from the comic joins the cast! 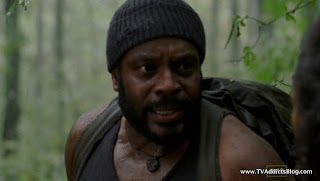 That's right, Cutty from The Wire is Tyreese! I, as mentioned many times before, did not read the comics but apparently this guy is a big fan favorite as well. And of course, the timing couldn't be better. Just as T-Dog was replaced by Oscar, Oscar needed a replacement by the end of the episode too. This has to be a running gag of some sort with the show. 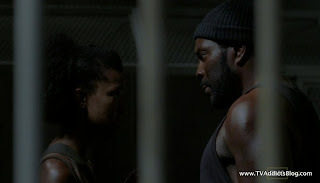 Tyreese and crew made their way to the E-Block of the prison where Carl found them, saved them and then locked them in a secure area. NICE!! You could tell Carl was already seeing the one of them he could trust in the future. The rest of them? Red shirts I'm guessing. 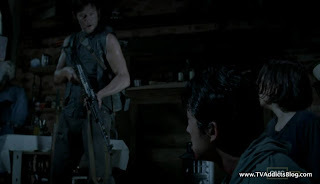 I always forget the redneck's name but his exchanges with Beth and Carol were hysterical in this episode. Beth tells the guy she's 16 or 17 or whatever. And he says that's interesting. Immediately, we think we know what got this guy in prison. Then he confesses to Carol that he has needs and with her being a Lesbian and everyone else shacked up Beth is the only choice. Carol denies being a lesbiand and he talks about her short hair. Ahhh I can't do the scene justice....but it was very...as he would say, "INTERESTING"! Carl learned from his daddy well. 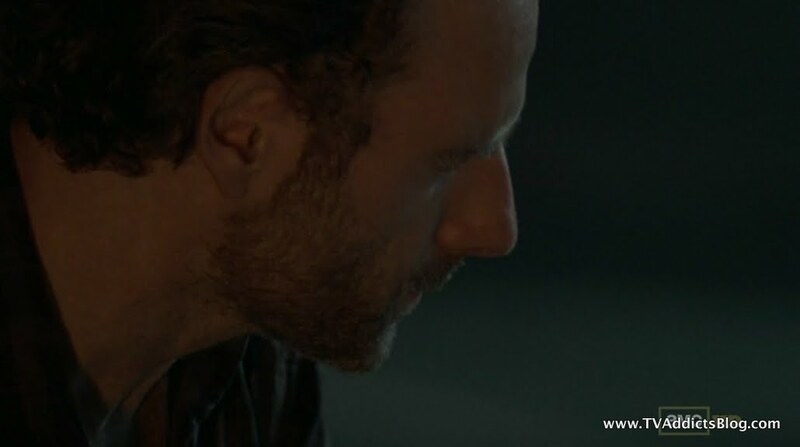 He isn't holding on to hope that Rick and crew will be coming back so he said he would take Carol out for baby supplies in a week or so. Of course, he went into the dark Prison halls like his dad would have too. 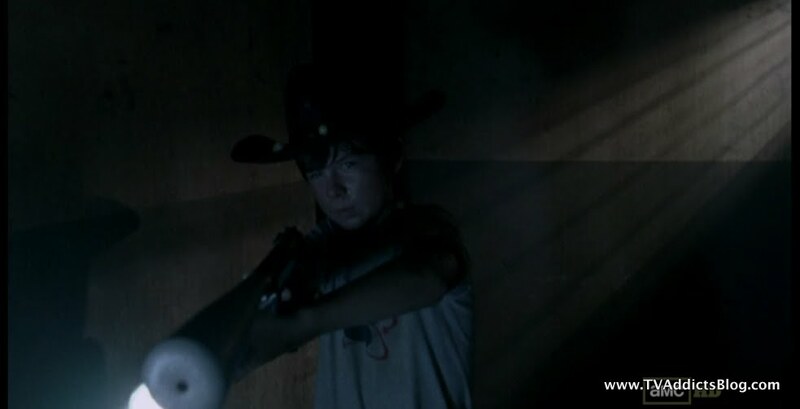 This ain't crybaby Carl from Seasons 1 and 2! Of course, we did see him hesitate at the Boiler Room where he shot his mother. Chilling. This is where the main action of the night went down. The Governor's pristine image is slowly being torn apart, one eye at a time! 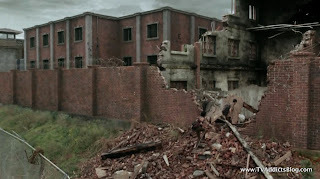 And Rick and crew pull off an "almost" successful infiltration and escape from the town hiding many secrets. 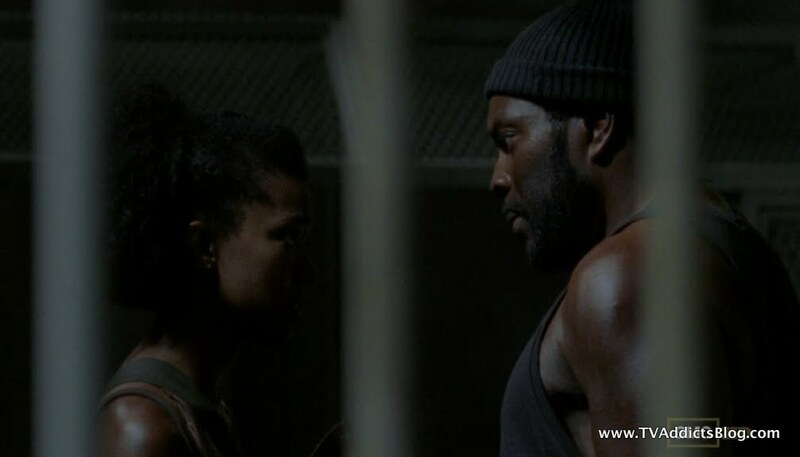 Maggie and Glenn have a little heart to heart in their cell. 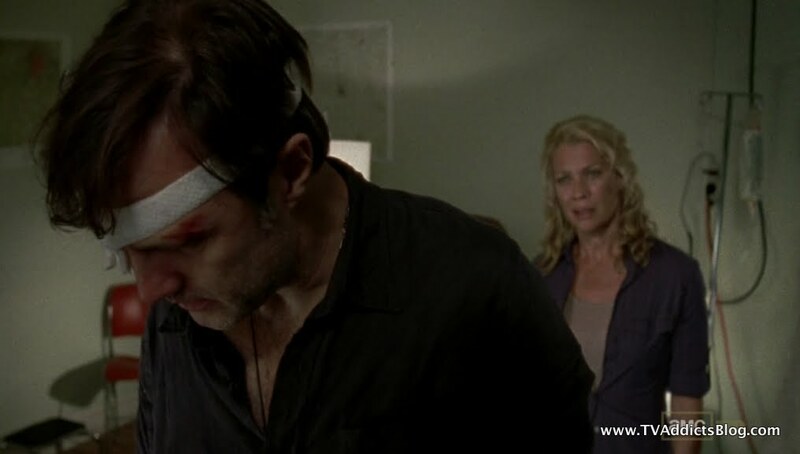 Maggie tells Glenn that the Governor barely touched her. And then Glenn goes and rips a limb off of the walker he killed in the last episode. They got themselves some SHIVS from the bones! Creative! The Governor's plan with the prison is to infiltrate, take out Rick's crew and then get the walkers back in there. He'd never want to move in. People want a sense of normalcy and that's what Woodbury brings. 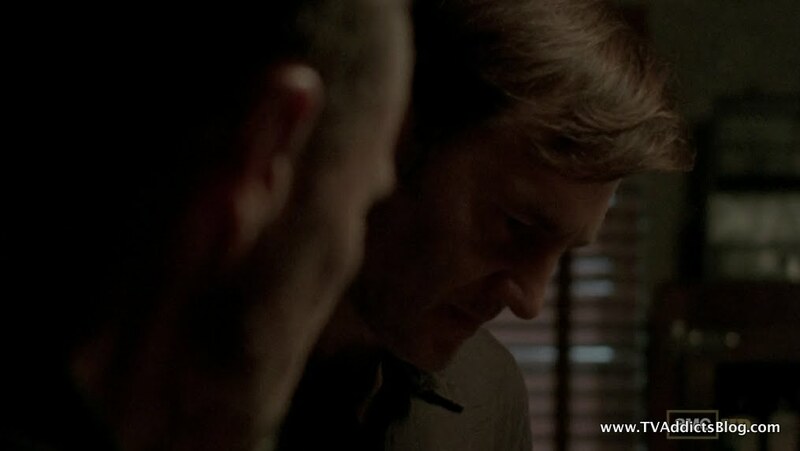 He also promised Merle that he'd get to see his brother alive. 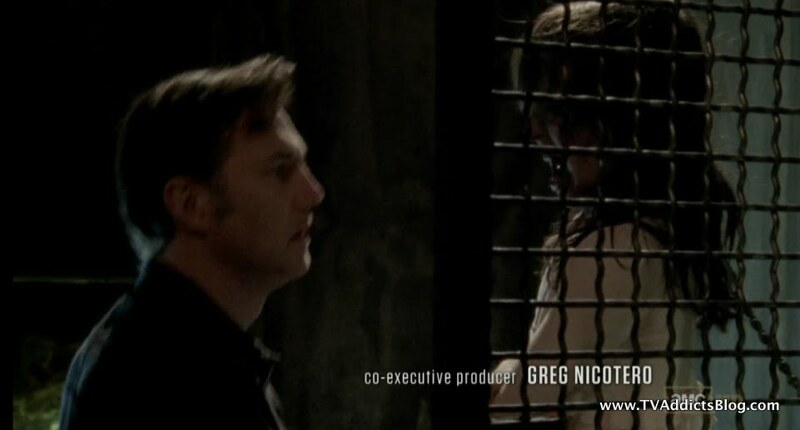 We find out that the Governor keeps his daughter Penny caged in the "Aquarium" room. He took her out and eventually got frustrated that she wouldn't look at him. Leave it to Glenn and Maggie causing a disturbance with their bone shivs for Rick and crew to know the way. They went all military tactical unit up in that piece with smoke grenades and heavy duty machine guns. They get to Glenn and Maggie. 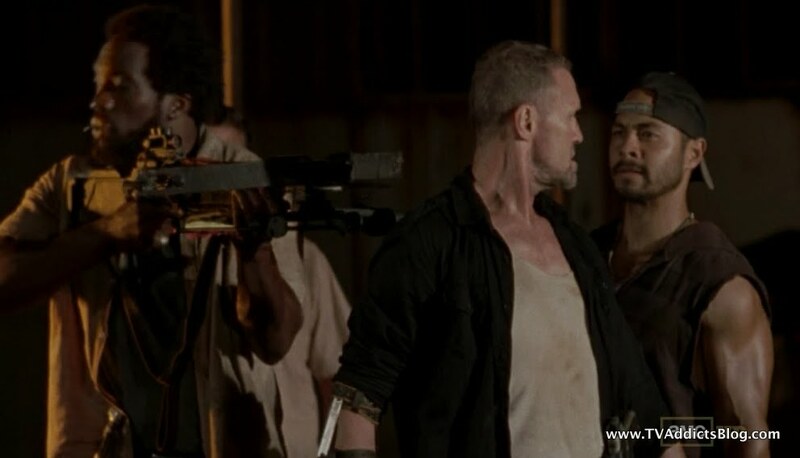 Glenn reveals that Merle is with the Governor. 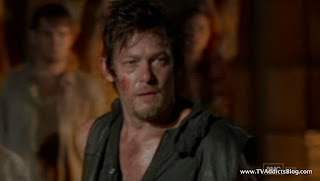 This leaves Daryl in an akward position. 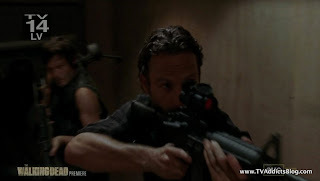 Rick says that he needs Daryl's help. Have to think big picture here. They'll come back for Merle or deal with it later. Daryl does agree that he is with Rick and will help. Governor starts strategizing. The town is panicking. He tells them all to lock their doors and stay inside. He sends Andrea on "calm the neighbors" duty which of course annoys her to no end. He doesn't want Andrea finding out that her former crew are the "terrorists" in town. All Andrea wants to do is shoot something! Of course, Andrea does find herself in the thick of things and the person she ends up seeing is Oscar. None of the other people that she knows. CONVENIENT! 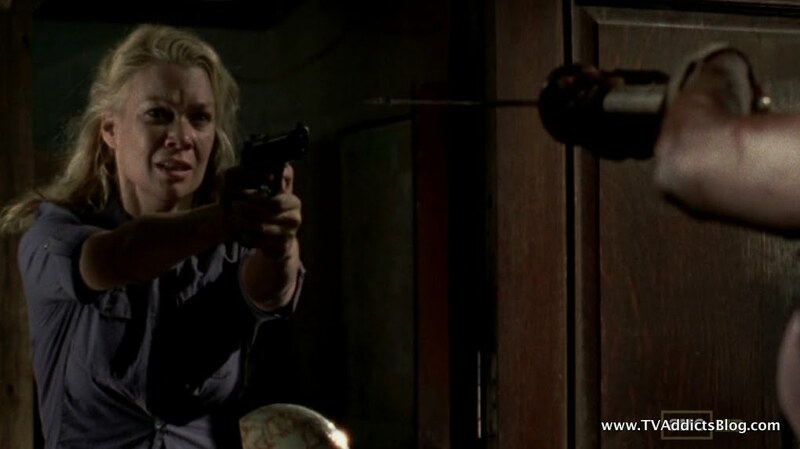 Andrea comes into the scene gun drawn on Michonne asking what she's done. 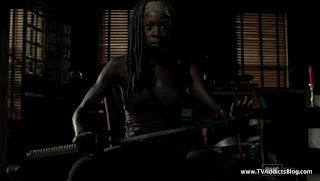 Michonne lowers her sword and exists knowing that there's no way to reason with Andrea right now. But, her realization will come. Exhibit A - She sees the tanks, and the dead walker daughter that Governor is cradling. I forget the order of events but there was a big smokey shootout in Rick and Crew's escape and as mentioned earler Oscar ran into one of those bullets. Maggie, having barely known Oscar mourned his death very loudly...screaming for Rick to get moving. RIP Oscar - I'm sorry you never got to wear those slippers for end of day relaxing. Of course Rick needed to be awakened by a screaming Maggie because he was seeing Shane coming right towards him with a shot gun. WHAAT?! Yep, Rick is losing it folks. He's hearing voices of dead people on phones and seeing dead people who have grown beards in the afterlife coming towards him. (Sidenote: on Talking Dead, Kirkman explained that the actor is filming a Scorsese movie and they were contractually obligated to keep his beard. But, they ended up explaining it in the show by the ACTUAL guy Rick was seeing having a beard). 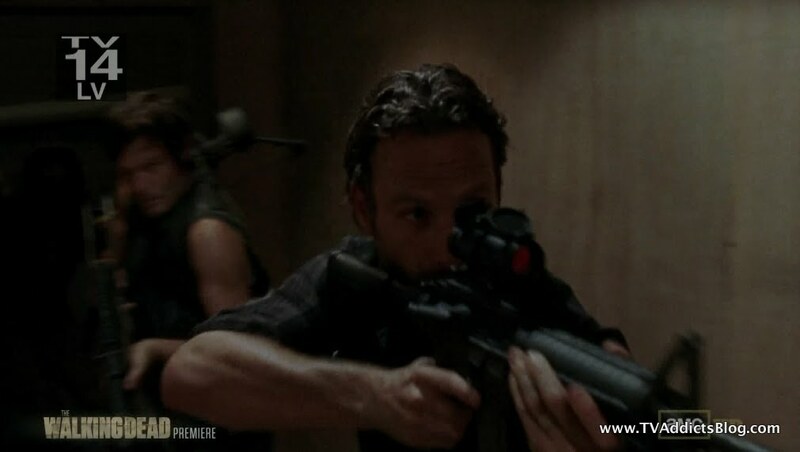 And too bad for that guy, he got the business end of Rick's gun! Back in Woodbury, the Governor got his eye patched up and didn't have many good answers for Andrea who was asking many questions of what she saw. Instead, he rallied the town in the "arena" to tell them about their intruders, their terrorists. He apologized for not being able to protect them. He apologized for them feeling the fear that they never thought they'd have to fear again. But, he didn't come empty handed. He said that one of the terrorists was one of them. 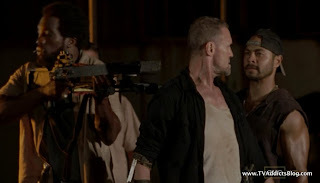 And the guns pointed into Merle's back. OUCH, Merle! And then they brought Daryl out who must've been captured. 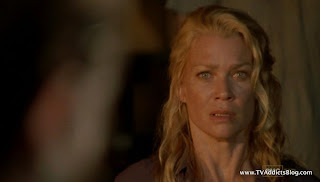 At this point, Andrea must have realized who the "terrorists" are and must know that something shady is going on here. But, it is Andrea, so maybe we shouldn't jump to conclusions that she's using logic. Governor asked the crowd what should be done with their "bad men". 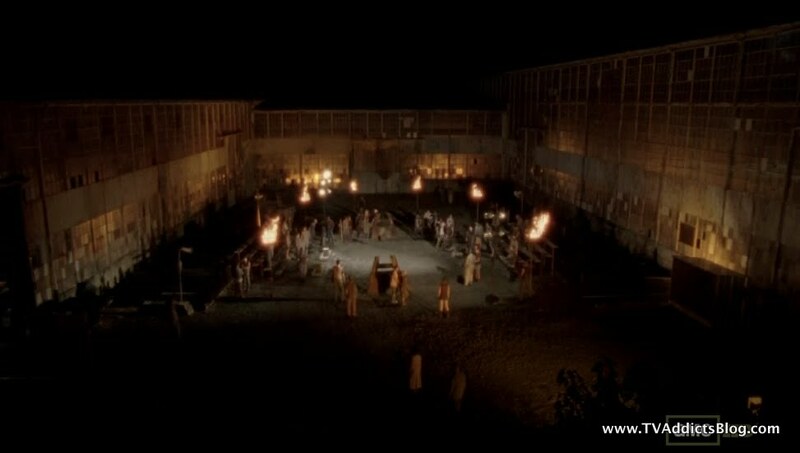 And they all yell out like their in the Colliseum in Rome for Daryl and Merle's heads. The Governor walks up to Merle and said "You wanted your brother, now you got him." Andrea looks panicked, Governor looks more evil than ever. And that's where we leave things! So, call me slow but this just came to me. 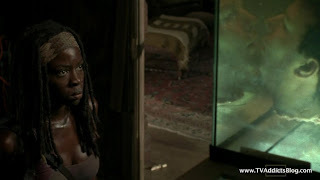 Michonne was believed to be dead based on Merle's word. 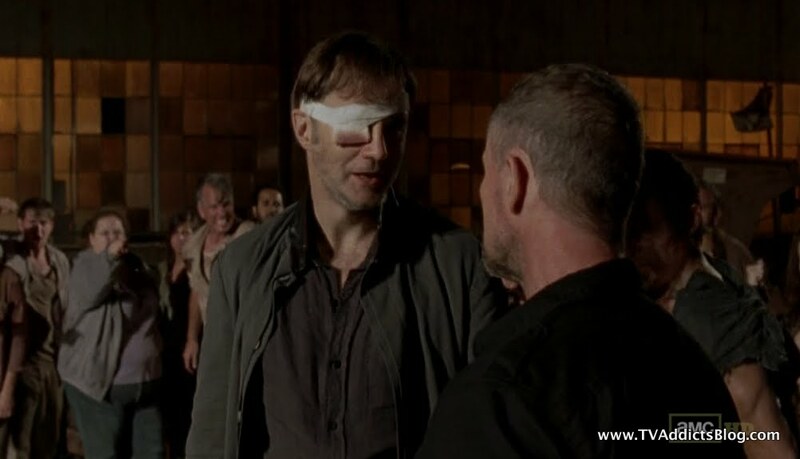 Merle promised Governor he was on his side. And then Michonne showed up in the Governor's residence and killed his dead daughter at the same time they were being infiltrated. I guess I might come to the same conclusion that Merle had betrayed the Governor. In fact, he only lied to make up for his shortcomings. 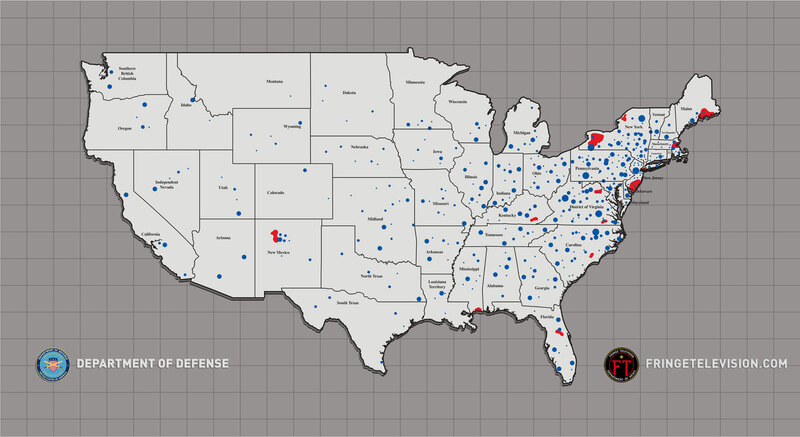 But, we totally saw the distrust coming, but it's interesting to see where they went with it. Merle and Daryl reunited again! And what's going to happen here? Will they be forced to fight to the death with angry walkers chained up and reaching for them? Will someone just pull a gun on Daryl and Merle and try to take a shot? 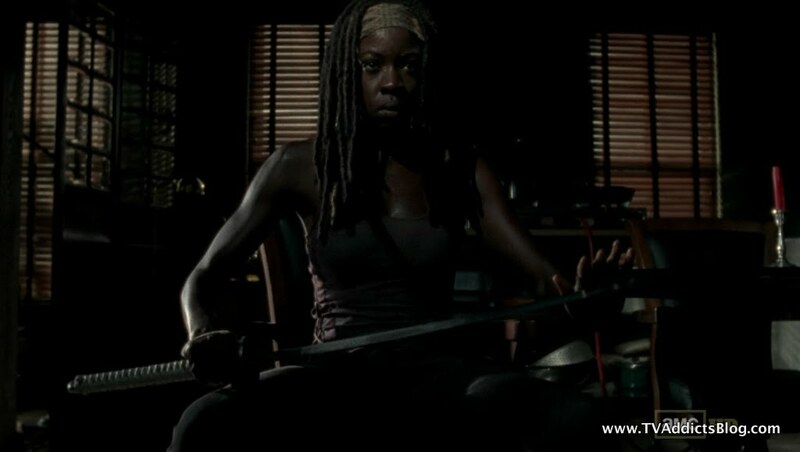 Will Rick and Michonne jump in slicing and dicing heads? Or will Andrea shout out "STOP!!!!!" and cause Phillip to reconsider? Maybe some combination of all of that. But, I think the Governor has been pushed past the point of trying to maintain a civilized persona. At least we can hope. The show returns on February 10th. It's either 5 or 8 more episodes. I thought I had read somewhere that we had a 16 episode season this year. If so, that will be a nice treat in the spring possibly leading into Breaking Bad's final run of episodes! Anyway, we're on hiatus here until February for The Walking Dead and March for Revolution. But, we'll be covering the final episodes of Fringe in December and January in the meantime. And of course, there are weekly posts to discuss everything else! Hope you enjoyed my ramblings and I'll see you next week! Whew - what an ep. Is it in the contract - 1 black man only ? LOL Don't know if they are red shirts or what but all are apparently from the book. Lesbian stuff was great! Glenn making 'hand made' weapons was ewww and awesome at the same time. Very commando when the go in and get Glenn and Maggie back. Liked that we actually was a kinder Mishonne til she pulled that hood off. 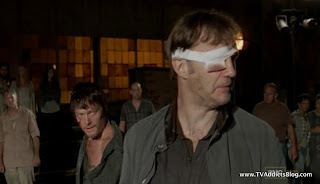 The fight betw Mish and the Gov was fabulous, can still see that glass sticking out of his eye. Thoguht for sure they were going to use of of the heads as a weapon ! 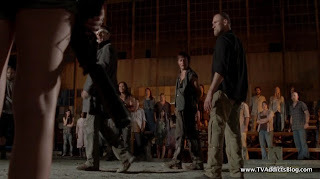 LOL Rick seeing Shane - in the middle of it all - just seemed a little weird and random. Why start hallucinating then ? I'm sure it will be discussed in the various interviews - but that seemed just a gratuitous way to bring back that actor. It felt out of place to me. Loved eberything except that. Yeah - when Merle walked in after the Gov fought Mishonne he gave Merle a very angry look - that was they 'you told me the b***h was dead' look. @MJ - If Morgan from the Pilot ever shows up again and Tyreese dies I think we'll have our answer! lol I didn't realize ALL of those characters were in the book. Well, maybe some of them will stick around for a bit. 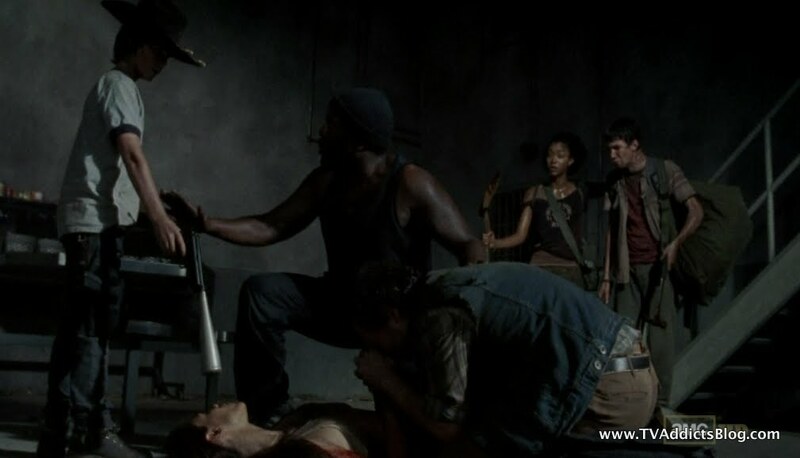 I think Gov was trying to push Michonne into one of those heads so technically he was using it as a weapon! lol As for the hallucinations...i think it was just to illustrate that Rick is still not in his right mind and that's probably an arc that will continue in the back half of the season. I know that they intentionally kept Shane from being one of the voices on the phone because they knew he was going to do a cameo. But yeah, maybe it was a little out of place. But, I think that was the point. If Rick can't think straight in the thick of things, then is he fit to lead? Guess we'll see! Carl is taking his job as man in charge seriously! That scene with the redneck guy and Carol was hysterical! The look on Carol’s face was great! 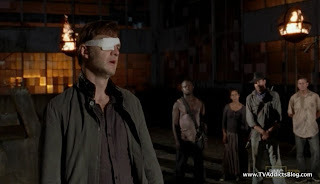 For this nice little “normal” community they have in Woodbury, those people sure seem to be out for blood when the Gov throws out Merle and Daryl. I didn’t know until Talking Dead that Daryl and Merle aren’t in the comics. I can’t imagine the story without them at this point. Agree with everything else you said! I'm sure I had heard they weren't in the books but forgot as time went by. I know the gov is a much darker and physically ugly guy in the books too. I don't normally watch coming attractions but on Talking Dead they make it hard to miss - looks like trouble at the prison. I was afraid that Woodbury would come calling while it was only Carl in charge, but looks like the troube could be from within. Yeah, Governor is apparently already pure evil in the books when we meet him. Here we kinda got to see his origin story. lol And apparently he wears an eyepatch in the comics too. I watched the Talking Dead, but I can't remember exactly what the scene was. I definitely saw it though! lol I sorta remember it being with the people at the prison though. But, I've heard the same stuff that you heard with all of the stuff. Including the "beloved" character's arm. lol I don't think they'll go there in the show. 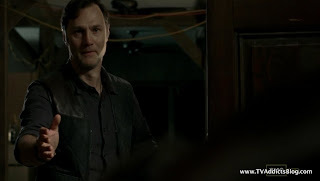 I think I even mentioned the Governor's arm in the recap (and compared it to Merle). I guess it could still happen!